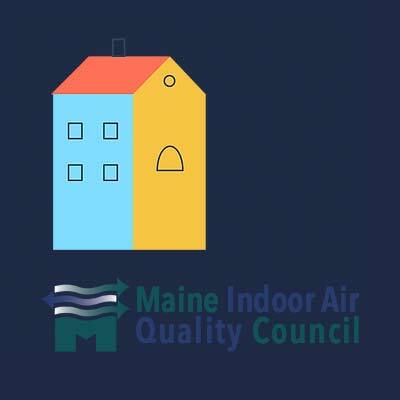 Portland, ME – April 30th – Particles Plus, a corporate sponsor of the Maine Indoor Air Quality Council, was on hand at the annual IAQ & Energy 2018 event held at the Holiday Inn Portland By The Bay. While the event focuses on many areas and aspects of indoor air quality and creating healthy indoor spaces, a key facet of the event is the focus on sustainability and energy conservation through building construction practices. Particles Plus featured their line of remote air quality monitors that can be integrated directly into facility monitoring systems, as well as simple PLC devices to help control and maintain energy efficiency for ventilation and filtration systems. The model 5302-AQM air quality monitor was highlighted for its ability to be wall mounted and directly connected to any air system’s return ducts. While monitoring the particle levels in an indoor space, the sensor communicates with the ventilation or filtration system’s motor controller, adjusting the motor speed and limiting energy consumption based on demand and detected particle levels. The Particles Plus Air Quality Monitors are also able to monitor and provide feedback for CO2 and TVOC levels, allowing for more air changes when needed or reducing energy use when levels are lower with limited occupancy in an indoor environment. Many Passive building designers have identified particle counting as key for monitoring indoor air quality in very tight building envelopes. Filtering particles to maintain healthy levels becomes a very controlled and measurable action as building spaces become more sealed and energy efficient. On-demand ventilation and filtration based on occupant activity allows for reduced energy with controlled air changes. Increases and decreases in CO2 and particle levels should drive the system to adjust and remediate to maintain a clean and healthier indoor environment. A smart system designed with intelligent sensors is key for energy saving operations and creates increased sustainability by reducing the amount of energy needed for traditional constant flow systems.